At first when I seen these I did’t know what to expect most of the time I have used electric massagers. But I got these for my husband because as that he works a lot standing and walking while using steel toe shoes he has been having some pain under his feet. The pain has been constant but he needs to work so he has been using these tools and it has helped him a lot. He comes home after taking a shower and eating he relaxes on the sofa and he puts his feet on these and rolls it back and forth as a exercise technique and it has been relieving the stress and pain under his feet and on his heels. These are great tools to have and what we like is that you can take it anywhere you want. 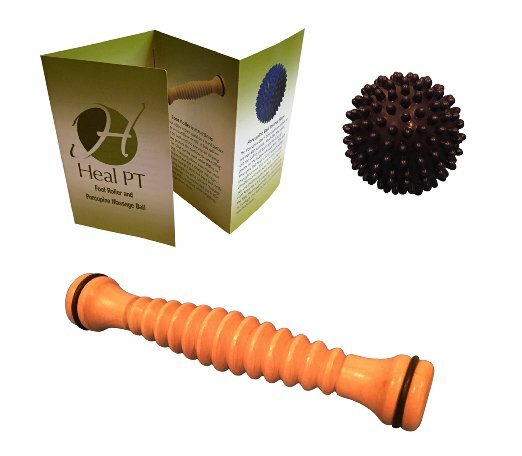 What we like is that you don’t have to use them on your feet only but you can use the porcupine ball also on your body like your legs, your arms and even your back. *I received this product at a discounted price in exchange for my honest and unbiased review, regardless I only recommend products that I or family members use and believe that it will be great for my readers.